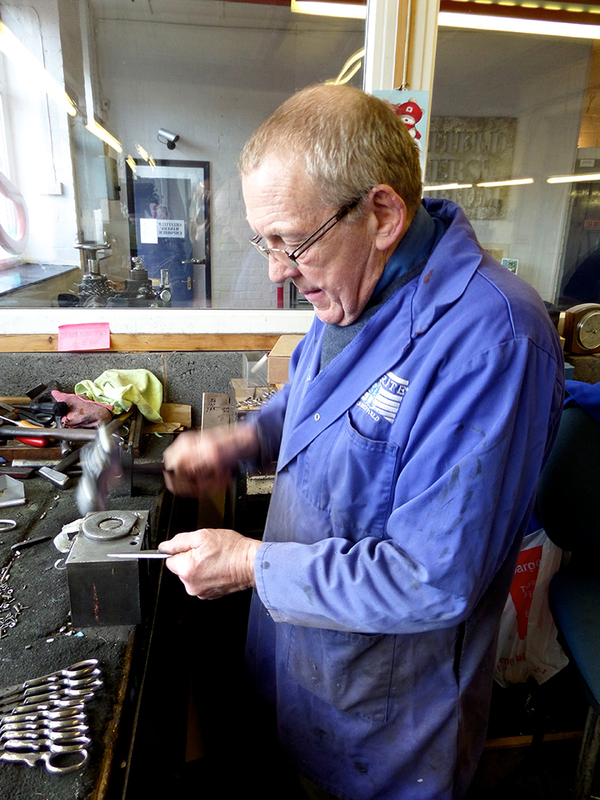 Sheffield has been a centre for manufacturing various forms of “blades” since the 14th century thanks to the many hills, valleys and rivers powering its industry. Stainless steel was actually invented in Sheffield and you’ll still find a large percentage of your cutlery will proudly state “Made in Sheffield”. Look at them luverly ‘ills…. 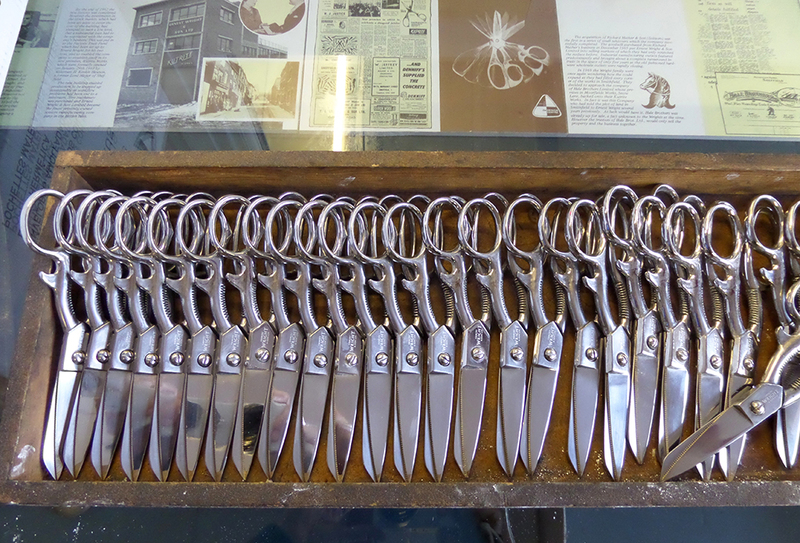 Ernest Wright is one of the last remaining traditional scissor manufacturers in Sheffield and is a family run business that has been hand making scissors since 1902. 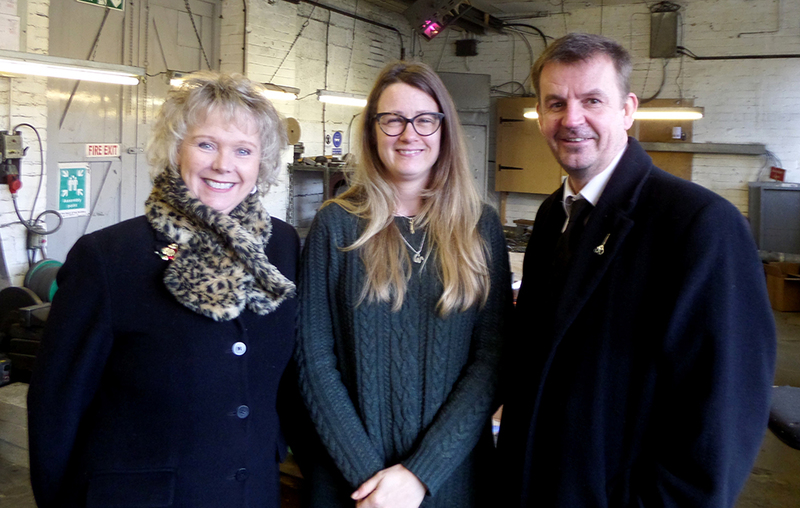 As a Yorkshire lass who hails from Sheffield aka the “Steel City” and home of the scissor, I was really happy to meet Nick Wright of Ernest Wright Ltd at the Knitting & Stitching show at Alexandra Palace in October. The original Ernest Wright was Nick’s great grandfather. I kept Nick chatting for far too long at the show and he invited me to go and have a look around the factory the next time I was in town. So, recently I was in Sheffield and finally went for that long overdue visit. Here’s what I found…. The factory is on Broad Lane in central Sheffield and if you look up you won’t miss it! A big thank you to Nick and Pam for being so welcoming and letting us take up precious time in their day. Pam wasn’t even supposed to be there, she came in specially to meet us! I knew my dad would find it an interesting place, so I took him along too! 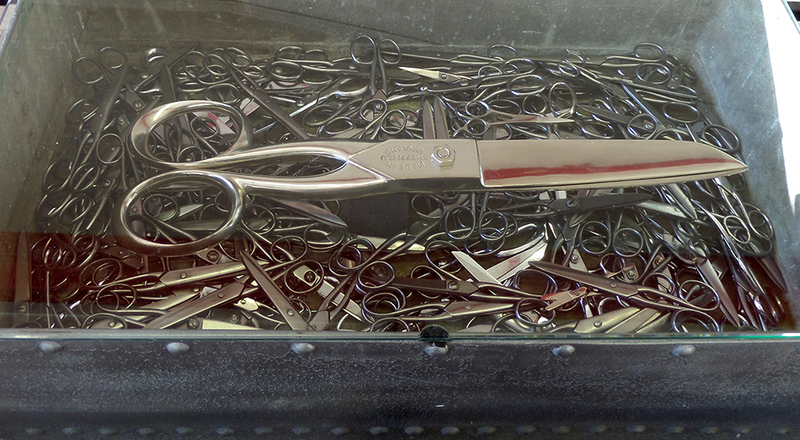 As soon as you walk through the door there’s no shortage of scissors…. HOW ARE THESE THINGS MADE?! Screenshot image from Little Less Known’s brilliant film of the Ernest Wright factory. 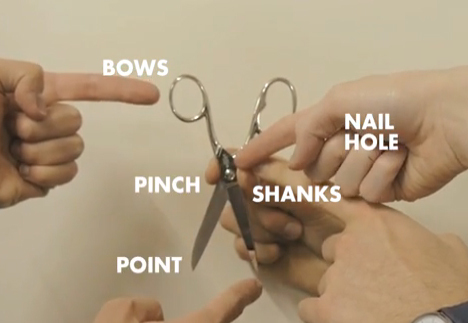 When are scissors called shears? 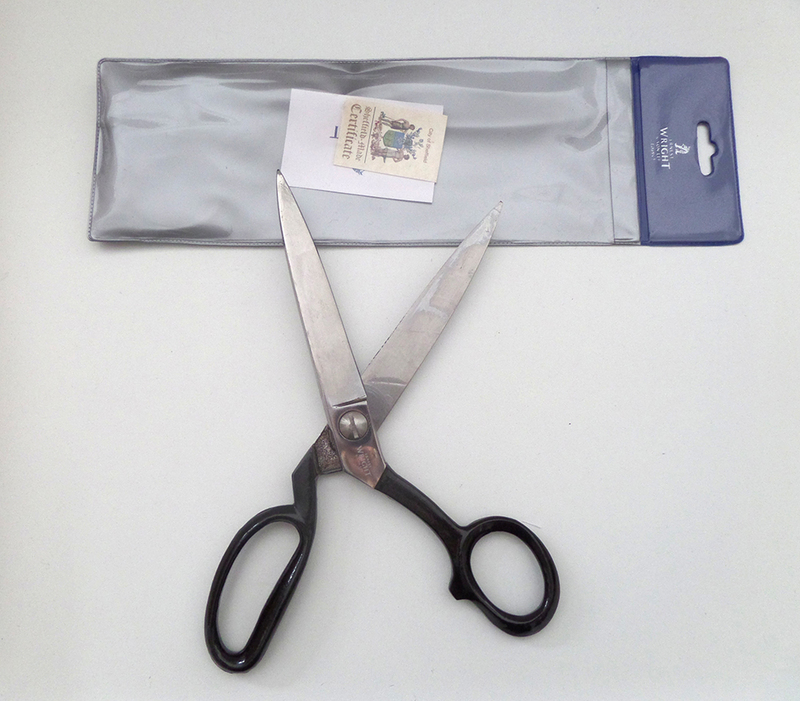 This is a question I have been pondering as fabric scissors are often called Dressmaking, Fabric or Tailor’s Shears. 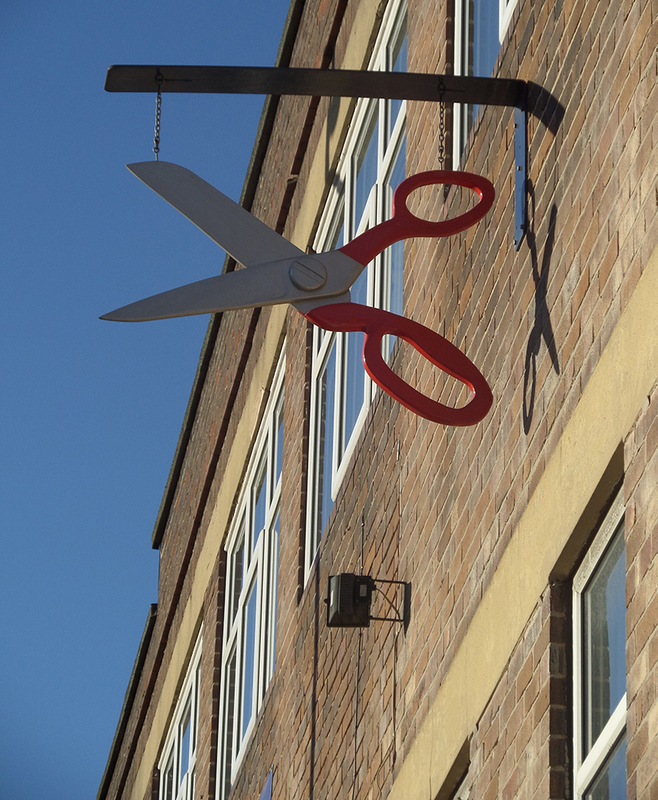 Well, apparently when scissors are bigger than 15cm they become shears! 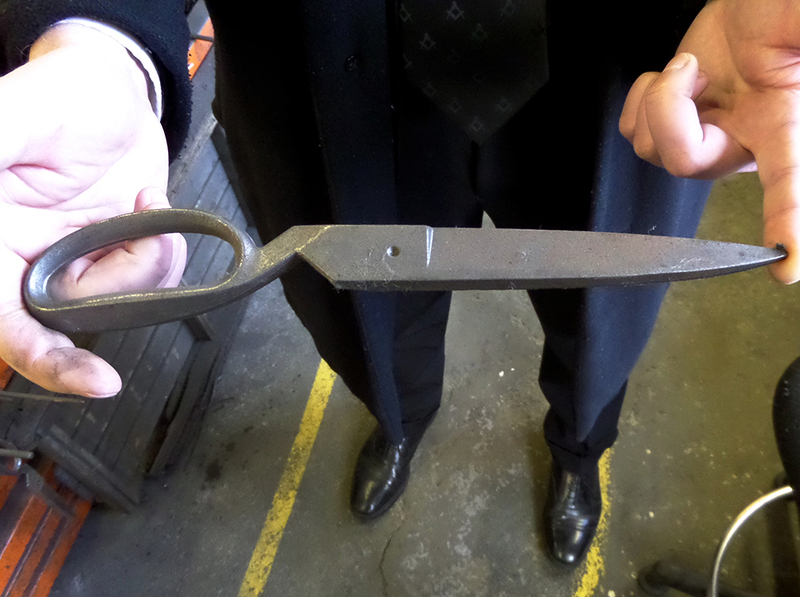 a kind of rough and ready scissor shape that needs to be refined. and a scary looking machine it is too! But look at that for a before and after pic! 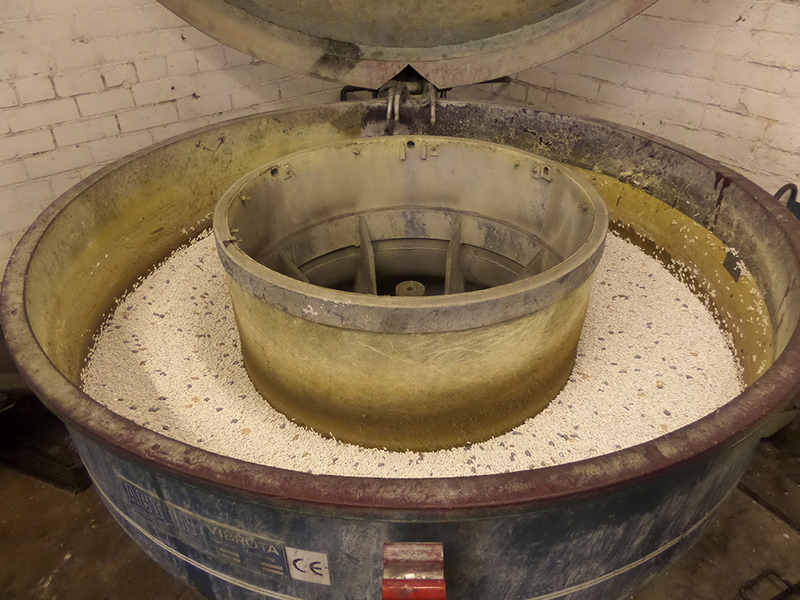 These grinding wheels literally get ground down over time and shrink in diameter. 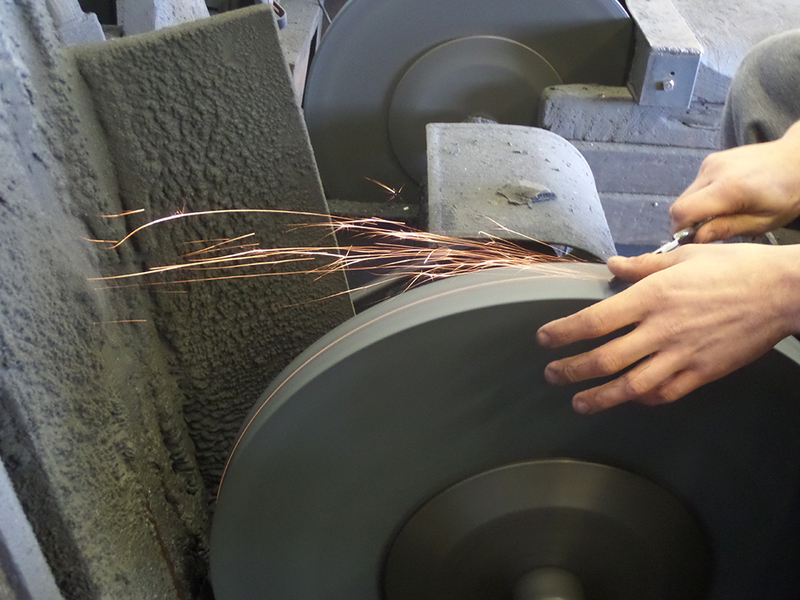 This process puts the sharp cutting edge onto the blades. 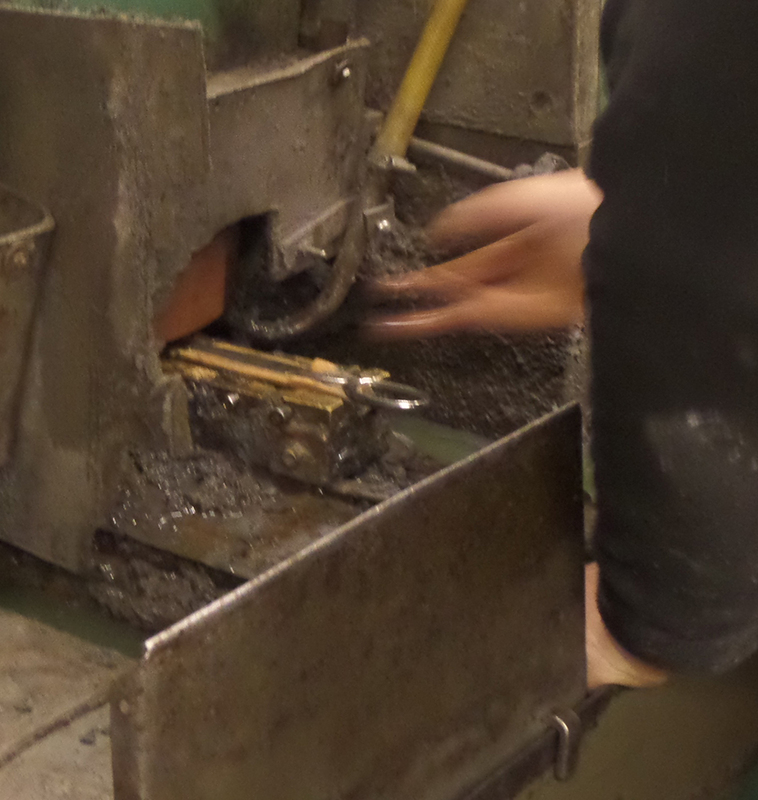 The last stage of the process lies with the “Putter”. The job of the Putter is extremely skilled and it actually means the “putter-togetherer” ie. the person who finally assembles the scissors. Who also happens to be an amazing story-teller! 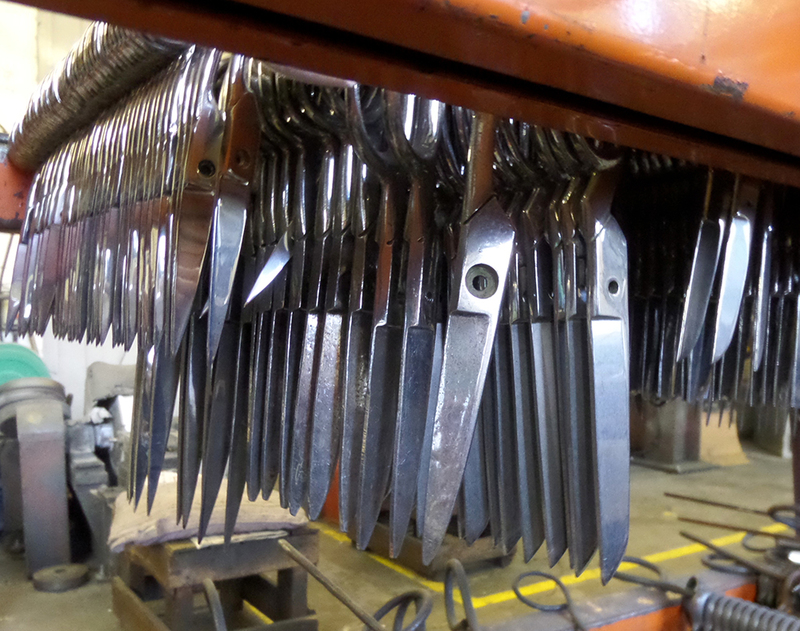 Cliff’s job involves assembling the scissors and hammering the perfect curve onto each scissor blade. I’ve made that sound way easier than it is – it’s a highly skilled job which takes years of training to master and watching Cliff work is an absolute pleasure. You can also watch him in this film by Shaun Bloodworth. Me and my dad with the lovely Cliff. 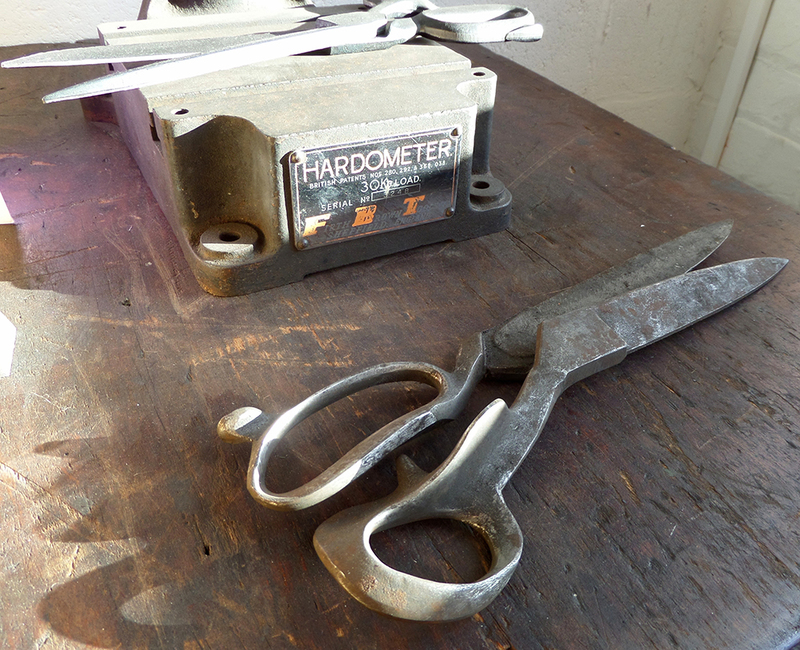 Cliff’s hammer, worn down over the years to fit his thumb and the precise angle at which he works. I love tools like this that tell their own story in the marks left by the craftsperson using it. 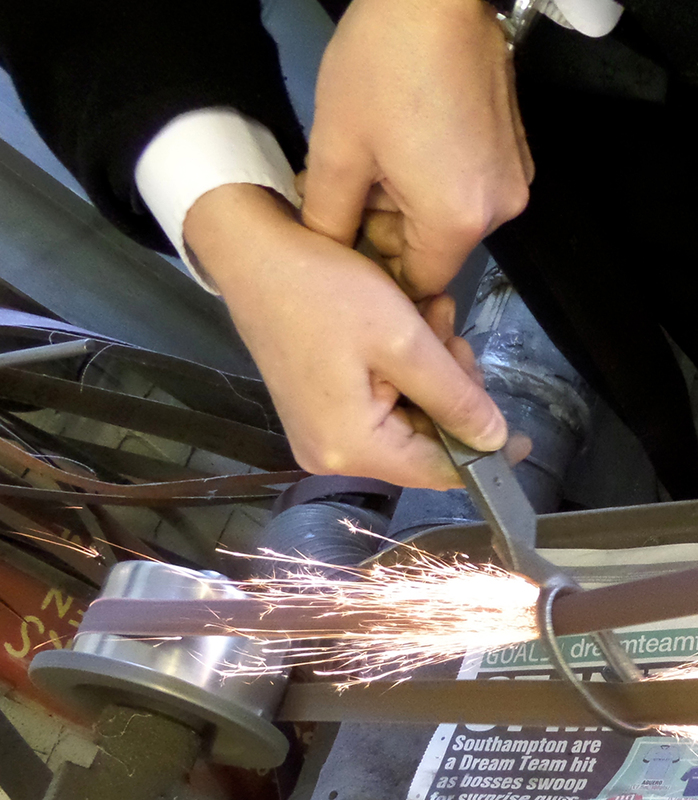 The curve and the setting of the blades by the Putter are what gives handcrafted scissors the ability to cut along the full length of the blade, forever. 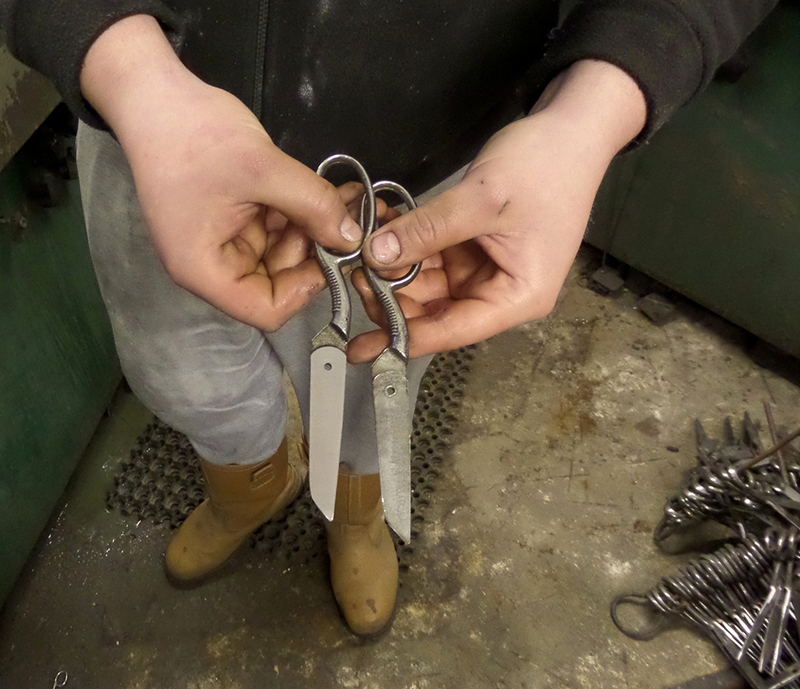 When the scissors are assembled they are slightly sprung against each other and if you hold your scissors up to the light you should be able to see a gap between the blades along the length with the tips tightly touching. Only machine made scissors have perfectly straight blades without a gap and they won’t cut at the tips for long once you start to use them. 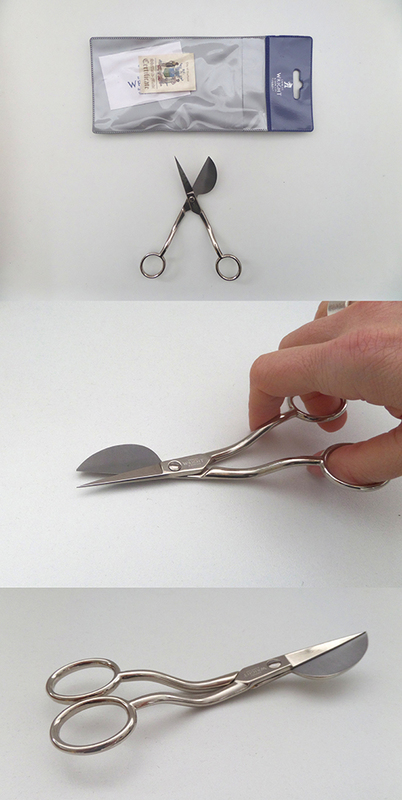 These scissors and shears are only available in person at MIY Workshop, they won’t be going into my online shop and I won’t be able to do them through the post. If you would like a pair, give me a ring at the workshop on 01273 693451 email me on miyworkshop@gmail.com or pop in to MIY Workshop at 33 North Road in the North Laine area of Brighton, just up the hill from Infinity Foods. Not content with having a look around his factory I asked Nick if I could interview him about how you should look after your new scissors. Gent that he is he agreed and I’ll be posting the results soon. 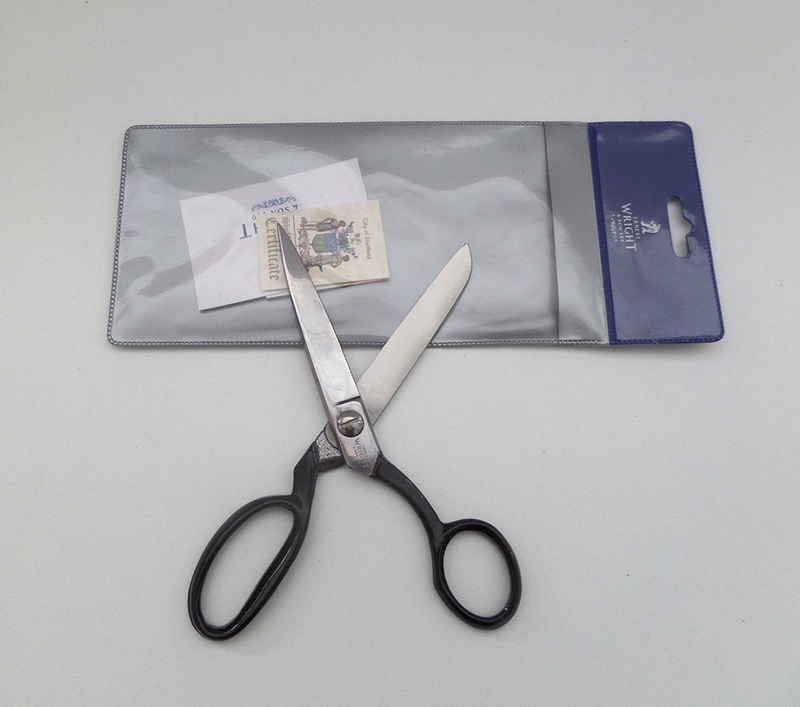 This entry was posted in Sewing Machines, Tools & Equipment and tagged dressmaking shears, ernest wright and son, ernest wright ltd, fabric shears, handmade scissors, how are scissors made, scissor making, scissors, sheffield, sheffield steel, tailors shears, traditional scissors, Wendy Ward. Bookmark the permalink. This is a wonderful article, thanks so much for sharing! 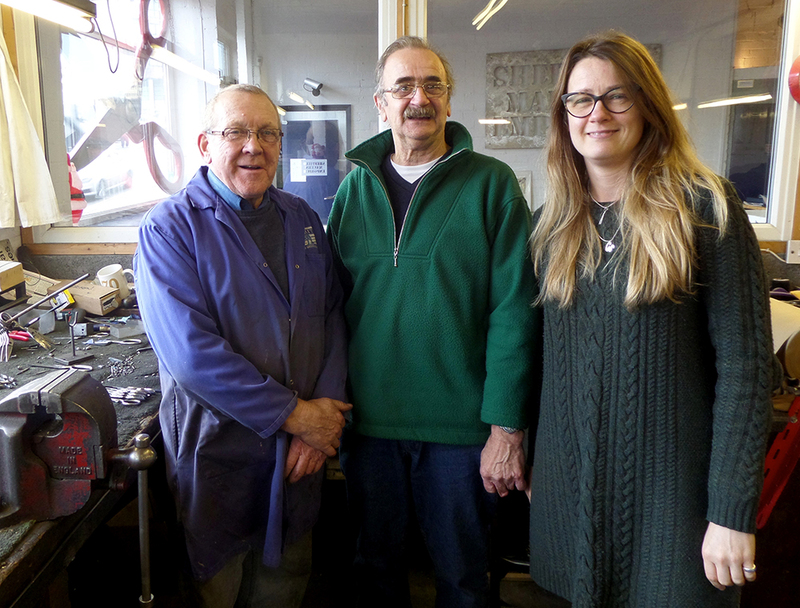 I am a huge Sheffield obsessive (our wedding rings are made from Sheffield steel by the last remaining hand steel forger who works out of Kelham Island!) 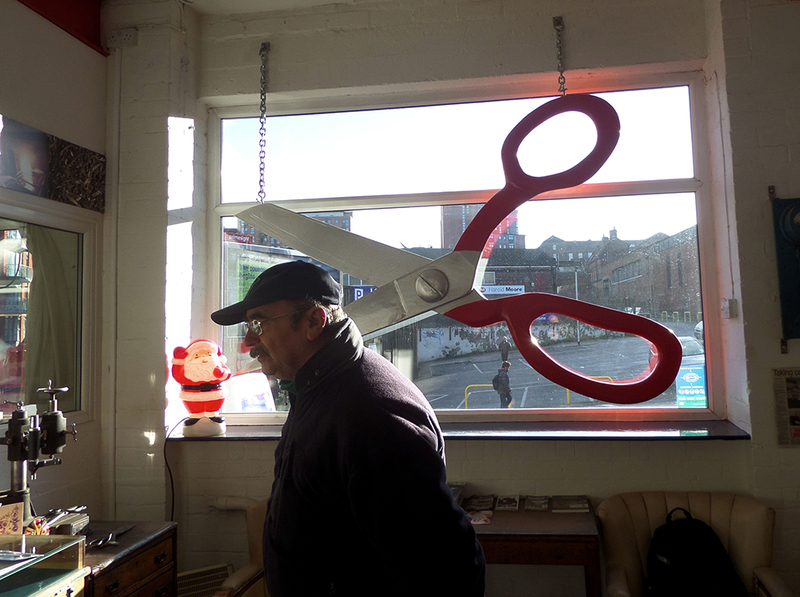 and it’s so lovely to hear the stories behind the famous scissors. If I get any Christmas money I know what I will be spending it on!